As the items will be shipped from Singapore, mail will usually take about 18 to 25 working business days to reach Overseas destination. During Holiday season and bad weather conditions, they might take longer to deliver. These are beyond my control, and I sincerely seek your understanding and patience on this. Brides : - Please order only if your wedding date is more than One Month away as I need time to make the items and shipping time from Singapore to Overseas take 18 to 25 working business days (exclude Saturday and Sunday). Please mention your wedding date at check out so that I can judge whether the item can reach to you on time or not. Thank you for your Understanding. * Normal mail (without tracking number). All items will be shipped with this service by default. Please kindly understand that if the item was shipped with Normal mail (without tracking number), there is no way for us to know the status of your mail. We won't be responsible for lost mail, if the buyer chose Normal mail to ship the items. Please check my Shop Policies before you make any purchase. All items are handmade and they are made to order. Items will be shipped within 3 to 9 working days (exclude weekends) of ordering for Single Items. Please allow 5 to 14 working days (exclude weekends) for larger orders (Bridesmaid sets and Bridal Orders). If you need something rushed, please contact me through ETSY convo prior to ordering. Please do not email me as I do not check my email, please kindly use only ETSY CONVERSATION to contact me, thanks. Items will only be shipped after full payment has been received and cleared. I will be shipping the items to Address provided in ETSY transaction only, to avoid delay in Shipping. Thank you for shopping at Earrings Nation. My name is Eaindar and I'm from Singapore. I started selling on-line of my handmade jewels since year 2004 locally. After I gave birth to my son in year 2008, I opened a shop on ETSY to sell graphic files. In year 2009 June, I opened EarringsNation ETSY shop to start selling my handmade jewelry. When I started, I sold jewelry for everyday wear. I personally love weddings so I decided to start selling wedding jewelry from year 2011. In year 2012, my husband Eugene joined me to help me with the accounts, purchasing local supplies and packaging materials, shipping out the mails and sending notification to customers. In year 2013 October, Sally joined EarringsNation as an assistant to Eaindar to help in preparing raw materials for Eaindar to make jewelry pieces and preparing packaging material. All the items in my shop are 100% personally handmade/ hand assemble by us. All Swarovski Crystals and Swarovski Pearls used in EarringsNation.etsy.com and Earringsnation.com are directly imported from Swarovski Austria. The bezel wires used to wrap my Swarovski Crystals are high quality plated over brass from Korea. All the other wires used for my jewelry pieces are high quality plated (in gold, silver and rose gold) non-tarnish wires which are imported from United States. I believe in quality materials and great customer service. If you have any doubt or not satisfy with my jewelry or service, please feel free to contact me. All jewelry at EarringsNation and MySweetJewelry are 100% handmade and jewelry making processes are in full compliance with Etsy's rules. Please purchase with confidence that you are purchasing from a small indie handmade business. My name is Eaindar and I'm a mother of 7 years old boy. I love to create handmade jewelry and I'm very happy to know that my customers are happy wearing them. I'm working full time for both of my ETSY shops EarringsNation and MySweetJewelry. I'm Eugene and I'm Eaindar's Husband. I joined EarringsNation in 2012 full time and handles Accounts, purchasing local supplies and packing materials, packaging, shipping out the mails and sending notification to customers. A very warm Welcome to Earrings Nation. For any inquiries, please convo me thru ETSY as it is the fastest way to reach me. Thank you for visiting Earrings Nation and hope you have a pleasant shopping experience. All the items in my shop are 100% handmade/ hand assemble by us. I believe in quality materials, quality packaging and great customer service. If you have any doubt or are not satisfied with my jewelry or service, please feel free to contact me. It is the buyer responsibility to check the item condition, once they arrived. If you have any concern with the items once you received, please convo me within 7 days of receipt of your item/s. If more than 7 days from receipt of the items, or 30 days from the date of shipment whichever is earlier, there won't be any refund, return or exchange as I assume that you are satisfied with your purchase. 2. 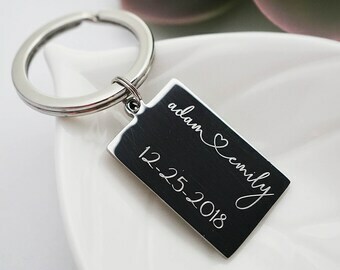 Personalized hand stamped items. Strictly NO returns of earrings as I only send brand new pairs of earrings to my customers. I do not send returned earrings to all my customers. As most of my customers purchased the earrings for their weddings which is their important occasion, I only want to send brand new pairs of earrings to them. There will be 30% restocking fee for return items. Return shipping will be paid buy the buyer. Items shall be returned back to me in their original condition & packaging, with unused condition. Shipping is non-refundable and the buyer has to bear all additional shipping costs (i.e. cost to ship items back to Singapore + cost to ship exchanged items back to you). I will send the replacement if there is enough time for the item to reach to you. If not, there will be full refund inclusive of shipping charges. This only applied to items shipped with Registered mail or FedEx shipments only. Please kindly understand that if the item was shipped with Normal mail (without tracking number), there is no way for us to know the status of your mail. We won't be responsible for lost mail if the buyer chose Normal mail to ship the items. I can guarantee that you will never receive the broken items as I (Eaindar) personally pack the items. I always make sure the items are in top conditions before putting them in a box. In the event, that post office mis-handle the item and the item is arrived in broken condition or broken by the customer at first try (within 7 days from the date of receipt), please take the photo of the item and send me the convo ASAP. Then send the item back to me after our communication through ETSY Convo and I'll repair it for you free of charge. If you need the item urgently and not enough time, I'll ship the replacement item to you free of charge with normal mail but you still have to send back the broken one back to me. Shipping charges to send the item back to me will be paid by you. If you do not receive the item by 3 weeks from the date posted, please convo me and I'll do the detail enquiry of the status of your mail with Singapore Post Office. If your purchase is returned to me due to UNSUCCESSFUL DELIVERY, in which you missed the delivery and also failed subsequently to collect from your local Postal Office within the stipulated time with the Notification form, after which the item may be returned to us due to your non-collection, I'll only refund 80% of the item price (exclude shipping charges) as I've spent time for making the items, packing and a trip to post office. The refund will be made only after I've received back the items safely. As the items will be shipped from Singapore, mail will usually take about 18 to 25 working business days to reach Oversea destination. During Holiday season and bad weather conditions, they might take longer to deliver. These are beyond my control, and I sincerely seek your understanding and patience on this. from the date of payment received. Orders will be sent to your ETSY transaction address. If you need it to be sent to another address, please drop me a note at check out or you can convo me. Please keep in mind that Buyers are responsible for any Customs fees or taxes imposed by Customs for an order are separate from the shipping charges. Customs fees and taxes will vary, and we recommend that you contact your local Customs office should you have any questions or concerns about these fees. And customs fee is totally nothing to do with SHIPPING COMPANY. All packages shipped from EarringsNation will include a declaration indicating the contents as "Costume Jewelry" "Earrings" "Necklace" "Ring" "Bracelet", with full value for the order listed. A package returned to us due to the refusal of these charges will result in EarringsNation being charged for the shipping, return shipping and Customs fees, and future orders will not be accepted until these fees are reimbursed. I am unable to alter the declaration of Custom forms. I apologize for any inconvenience. Most of my items are made with high quality tarnish resistant plated materials unless otherwise stated. TARNISH RESISTANT does not mean tarnish free. Our Plated Supplies are meant to last longer than most other Plated Supplies. As these are FASHION JEWELRY, plated items are not meant to be touched with Moisture, sweat, perfume or water. Please do not wear them while sleeping, bathing and doing sports. As the items will be shipped from Singapore, mail will usually take about 18 to 25 working business days to reach Overseas destination from the date of shipment. During Holiday season and bad weather conditions, they might take longer to deliver. Recently, mails to Canada took about 1 to 2 months to arrive. How many types of Shipping options do you provide? Please kindly note that if the item was shipped with Normal mail (without tracking number), there is no way for us to know the status of your mail. We won't be responsible for lost mail if the buyer chose Normal mail to ship the items. Do you provide express shipping with full tracking from start to end point? Yes. We provide FedEx express shipping with full tracking information. If you are purchasing the item from us, you can directly choose the shipping methods at check out. Shipping charges for each country is different, so please key in your country to check respective shipping upgrade charges. Your contact number is required for FedEx shipping. How fast will you ship my order out? Brides:- Please mention your wedding date at check out so that I can judge whether the item can reach to you on time or not. Thank you for your Understanding. My order was returned back to sender. What should I do? We can ship back the item with free Normal mail if you choose to get back the item again. If you have any doubt, please feel free to ask.